Home / Blog / What’s the Best Way to Get Rid of Mice? What’s the Best Way to Get Rid of Mice? Do you want to know the best way to get rid of mice? Do you want to know the easiest way to get rid of mice? Do you want to know the safest way to get rid of mice? Do you want a guaranteed way to get rid of mice? Are you prepared to have your mind blown? You don’t have to get rid of mice if you keep them out before they come in. 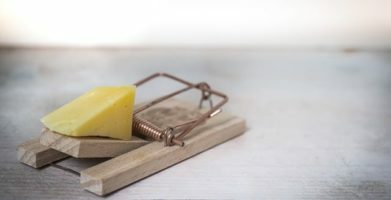 Benjamin Franklin said it hundreds of years ago and his wisdom still holds true today, “An ounce of prevention is worth a pound of cure.” No matter how effective any mouse trap or rat poison may be, they are not as good at preventing a mouse infestation before it begins. Nor are they as easy. The initial time investment of rodent-proofing your home is more than the time it takes to set a few traps, but the results are more too. You can rodent-proof your home in three simple steps. Clean up. Make your home less attractive to rats and mice by removing food sources and hiding spots. Seal up. Make your home less accessible to rats and mice by closing off potential entry points. Pouch up. 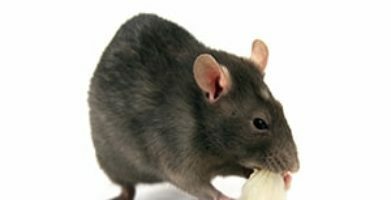 Make your home repulsive to rats and mice by using a scent-based natural rodent repellent. Cleaning up rodent attractants will do more than keep rats and mice away. Other pests that are attracted to readily available food sources will be less inclined to visit your home. You will also enjoy a cleaner home and experience less food waste if leftover foods are promptly and properly stored. Sealing potential entry points will do more than keep rats and mice away. A tightly sealed home will keep all kinds of pests outside where they belong. You will reap the benefits in savings on your heating and cooling bills by closing any gaps, cracks or holes that may exist. Protecting your home with Stay Away® Rodent will prevent pests from entering, and will also send any rodents that are present running. You will enjoy a fresh, woodsy scent along with freedom from rats and mice. 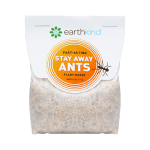 You will never have to worry about a child or pet finding your pest control products because they are completely safe and natural. 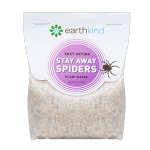 You will also feel confident because earthkind’s products come with a 100% satisfaction guarantee. Getting rid of mice has never been easier. Trust the original botanical rodent repellent and choose the best way to get rid of mice – choose Stay Away® Rodent pest prevention! string(3209) "[vc_row][vc_column][vc_column_text]Do you want to know the best way to get rid of mice? You don't have to get rid of mice if you keep them out before they come in. Benjamin Franklin said it hundreds of years ago and his wisdom still holds true today, "An ounce of prevention is worth a pound of cure." No matter how effective any mouse trap or rat poison may be, they are not as good at preventing a mouse infestation before it begins. Nor are they as easy. The initial time investment of rodent-proofing your home is more than the time it takes to set a few traps, but the results are more too. Protecting your home with Stay Away® Rodent will prevent pests from entering, and will also send any rodents that are present running. You will enjoy a fresh, woodsy scent along with freedom from rats and mice. You will never have to worry about a child or pet finding your pest control products because they are completely safe and natural. 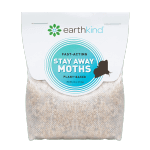 You will also feel confident because earthkind's products come with a 100% satisfaction guarantee. Getting rid of mice has never been easier. 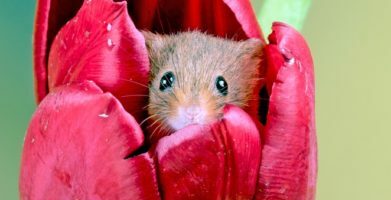 Trust the original botanical rodent repellent and choose the best way to get rid of mice - choose Stay Away® Rodent pest prevention! string(39) "What's the Best Way to Get Rid of Mice?"